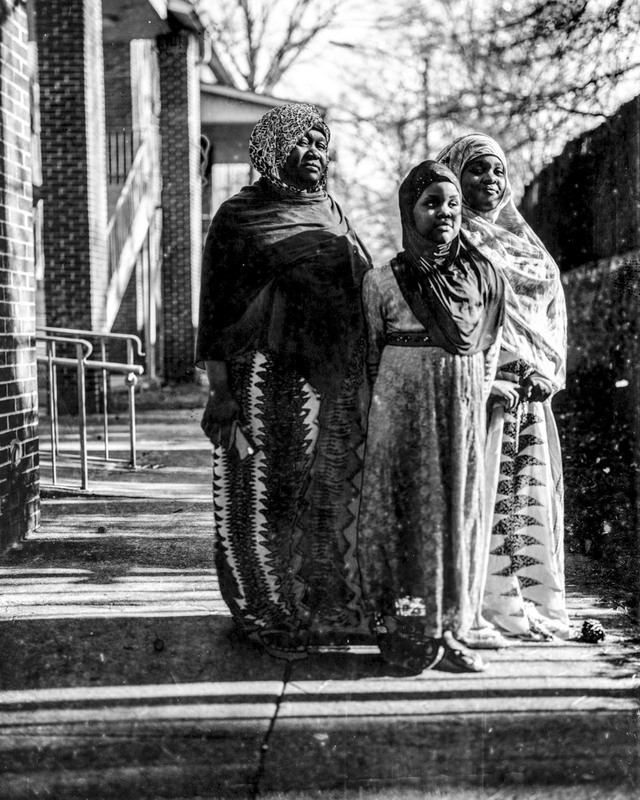 Arbai and her two daughters Rahma and Maynun. 2017. Decatur, Georgia. Arbai, was resettled to Georgia in 2004 after spending nearly 13 years in a refugee camp in Kenya.